Everyone searches for a spot offering Wi-Fi at some point or another, whether it’s for checking email, getting a social media fix, or just getting some serious work done in a comfy environment. 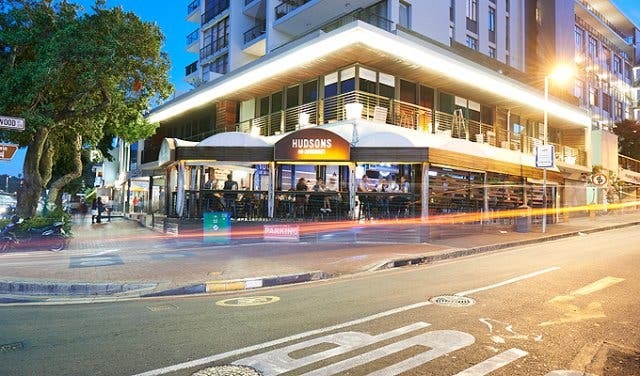 With so many different Wi-Fi hotspots in Cape Town’s city centre, all of which differ slightly in their ambience and offering (they range from trendy and bustling to quiet and business-like), it can be quite tricky to find the setting that suits your needs. 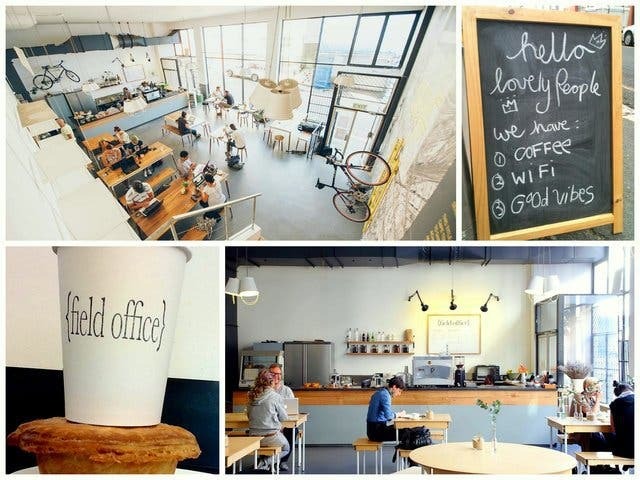 If you need a refreshing yet high-powered break from the office, Ground Art Caffe in the city centre offers exceptional coffee, food prepared by a classically trained chef, a gallery of art and free super high-speed Wi-Fi powered by Webafrica. All day natural light, stunning views of Table Mountain and numerous power and USB points make Ground Art Caffe a peaceful place to catch up on some work. Find out more about Ground Art Caffe. Hours: Weekdays: 7am–4pm; Saturday: 7am–2pm. Sunday: Coming soon. 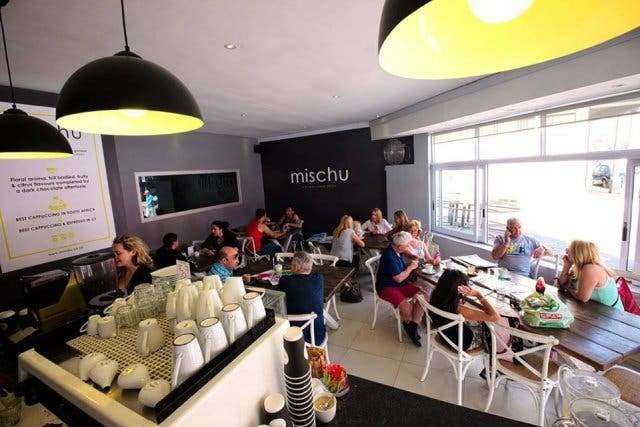 Mischu, the showroom that trains the city’s baristas, also has free WiFi and a comfortable atmosphere that will have you wishing that it could be your permanent office. With a newly minted menu that includes breakfast, lunch and a kid’s menu, and features delicious items such as a mezze platter and items for vegans too. Everyone is catered for at Mischu, so bring your laptop, your family and your taste buds to indulge in good quality coffee. 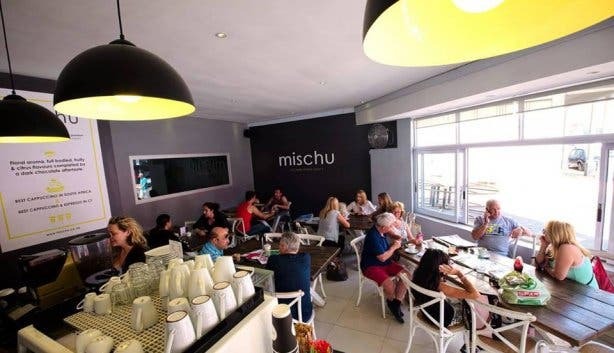 Read more about Mischu. 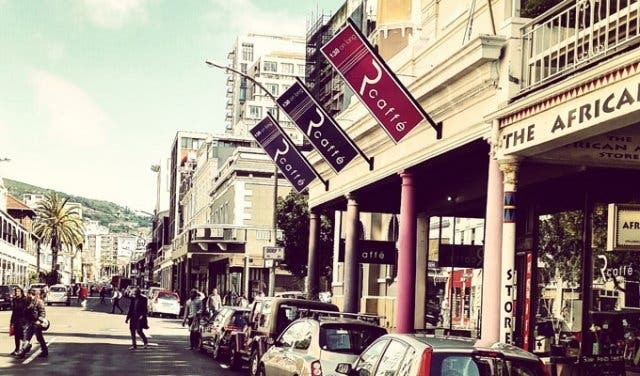 Sitting pretty on Cape Town’s famous Long Street, Rcaffé is an ideal spot to pop in, connect and ensure that your online presence is thriving. 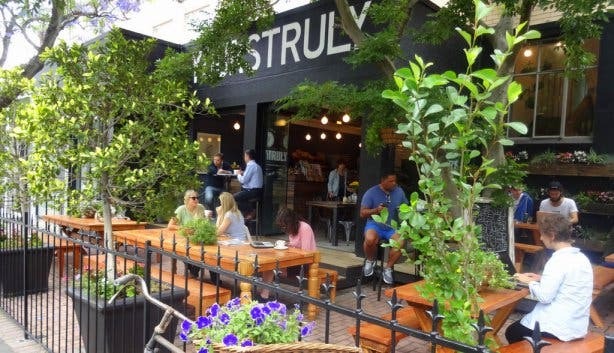 Of course, the Cape Town hotspot serves a selection of tasty meals throughout the day, and its coffee (the usual accompaniment to a few hours of surfing the web) is some of the best in the Mother City. The eatery’s distinctive artisan mocha crema blend is made up of four different beans originating from Ethiopia, India, Costa Rica and Brazil. The medium-to-dark roast is the perfect pick-me-up! Read more about RCaffe. This popular Cape Town burger franchise serves up free Wi-fi alongside its well-stacked bun-and-patty combos. 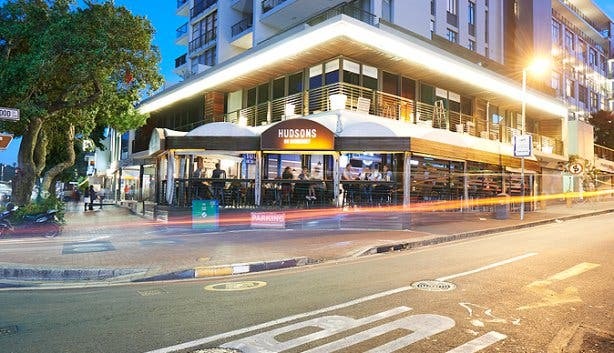 All three of Hudsons’s outlets (situated in Green Point, Claremont and Gardens) offer patrons 250MB of free Wi-fi access and its burgers include some truly mouth-watering options like The Wiseguy, which is layered with tomato relish, fresh chillies, jalapeños and rocket, and The Original Royale, which comprises bacon, cheddar, chilli and battered onion rings. Not to mention, you can sip on cocktails like mojitos, bloody marys and long island iced teas while checking your mail, updating your Facebook status or cruising for matches on Tinder. Read more about Hudsons. Hours: Every day: 12 noon – 11pm. 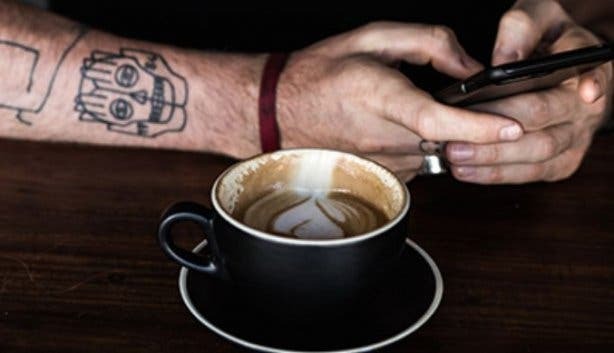 Not only does this steampunk-styled java haven “roast coffee properly”, but it also gives customers one hour of free Wi-fi while they sip and enjoy (Wi-fi costs R60 a gigabyte after the first hour is up). Artisan coffee has something of a cult following in Cape Town, and Truth has an array of great blends for you to indulge in while you surf the Web, check emails and draw up business propositions. This Wi-fi hotspot is the place for creative people to get together, socialise and plough through a little work. So, if you own a skateboard or bicycle and live in District Six or Woodstock (they have branches in both areas), take a quick ride down. Here, you can listen to good music while you tweet, blog and skype with friends and colleagues (both spots offer unlimited free Wi-fi). The Field Office cafés serve up bold and earthy Deluxe Coffeeworks coffee, which customers can enjoy while taking in eye-catching artwork and design products, all produced by local artists. Situated at the top of the Mother City’s most iconic landmark, the Table Mountain Cableway Wi-fi Lounge offers all visitors FREE wireless internet connectivity (TABLE_MOUNTAIN), numerous plug and USB points, a wide range of comfy seating options as well as two view decks and an outside balcony area to enjoy. The connective hub is the ideal hotspot for all – locals, tourists, cable car riders and hikers, to connect their devices to the FREE Wi-fi network and charge their cell phones, laptops and tablets allowing them to post and share their many spectacular Mother City snaps with their friends and family. What’s more, the Lounge too boasts a small on-the-go-styled café complete with delicious breakfast and lunch treats as well as various hot and cold beverages. Hours: The lounge opens as the first cable car comes up and closes with the last car’s departure. It is best to check the Table Mountain Aerial Cableway website for more information. 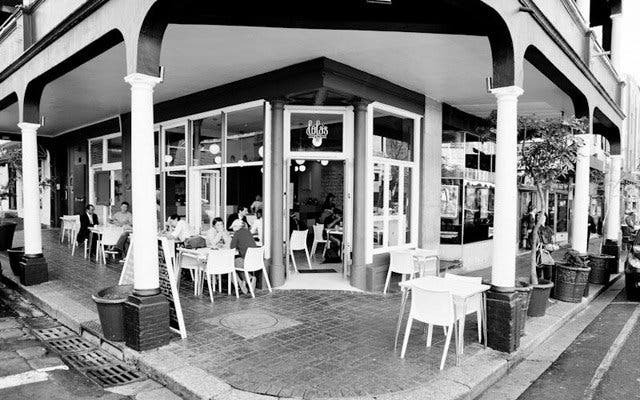 Intimate and cosy, Tamboers Winkel, which sits just off Kloof Street, has a rustic, farm-style feel and offers a selection of breakfasts, a range of fresh breads, free-range chicken, local cheeses, charcuterie, Deluxe Coffeeworks coffee and more together with free unlimited Wi-fi. The eatery is a bit smaller than other inclusions on this list, so keep this in mind if you prefer a work setting that’s a little more spacious. If you do pick this spot though, you can opt to enjoy some privacy at the counter by the window or join the long, communal centre table to chat with other patrons while browsing the Net. This small bistro-style eatery offers both free Wi-fi and tasty fare (think sandwiches, soups, linefish and more). Situated on the corner of Long and Buiten streets, it is conveniently positioned smack in the heart of Cape Town’s central business district. Lola’s fresh, rustic interior creates a vibey, young feel for workers on the go. 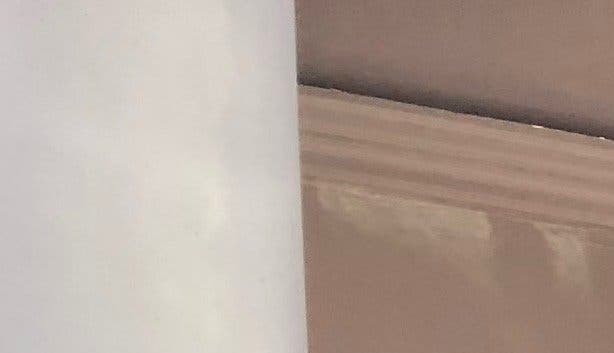 However, if you’re looking for a quiet place with lots of privacy in which to work, perhaps this bustling haunt is not the Wi-fi spot for you. If you’re the fashionable, contemporary type, then Loading Bay in De Waterkant, the Mother City’s trendy gap capital, is the sort of place you’d hang out. The Cape Town hotspot offers customers one to two hours of free wireless Internet in an inspiring worker-friendly environment (though it can get very busy at times). What’s more, owner Jon-Paul Bolus marries years of experience in the design industry with passion and originality (all reflected in the design of the bistro) and ensures that the comfort food and artisan coffee served is both local and lekker. Housed in a 100-year-old Victorian building, Rick’sCafé Américain is a laidback eatery that features a labyrinth of rooms where you can relax while cruising the Web. The Casablanca-inspired restaurant offers free Wi-fi until 7pm to any customer ordering one of its delectable meals. Laze on a couch in the loft lounge upstairs while you enjoy Moroccan- and Mediterranean-style tapas, or head to the large roof deck or front veranda, both of which present magnificent views of Table Mountain, and relish some tasty seafood (Wi-fi is available in all these different areas). This Hellenic restaurant has a reputation for hospitality that ensures it’s jam-packed on both weekdays and weekends. So, if you’re looking for some quiet time, it’s a good idea to pop in during the afternoon or early evening. Caffe Neo offers free unlimited Wi-fi to all patrons indulging in something from their delicious menu. While surfing the Web and tucking into contemporary Greek cuisine, customers can relax on the balcony and enjoy beautiful views of the Mouille Point promenade and sparkling Atlantic Ocean beyond. Keen to do some shopping while browsing the Web? Check out our overview of top online stores in South Africa. Here are Cape Town's coolest shared working spaces.